Mawlamyine (also spelled Mawlamyaing; Mon: မတ်မလီု pronounced [mo̤t məlɜ̤m]; Burmese: မော်လမြိုင်မြို့; MLCTS: mau la. mruing mrui. 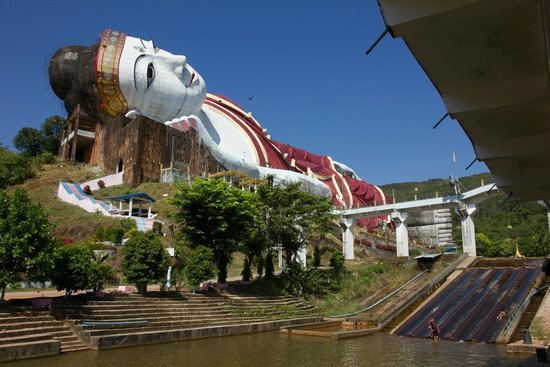 ; pronounced [mɔ̀ləmjàiɴ mjo̰]), formerly Moulmein, is the fourth largest city of Myanmar (Burma), 300 km south east of Yangon and 70 km south of Thaton, at the mouth of Thanlwin (Salween) River. The city is the capital and largest city of Mon State, Myanmar and is the main trading center and seaport in south eastern Myanmar.